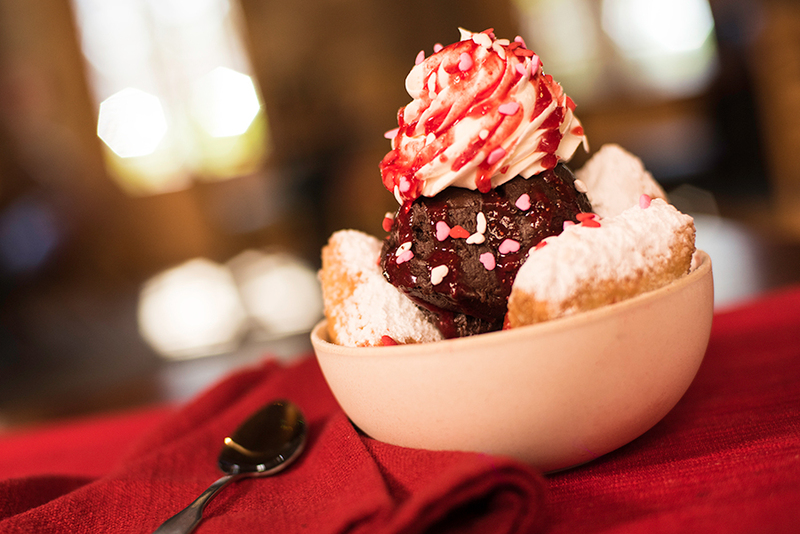 This year, guests visiting Disneyland or Walt Disney World on Valentine’s Day will find several limited-time desserts throughout both properties! 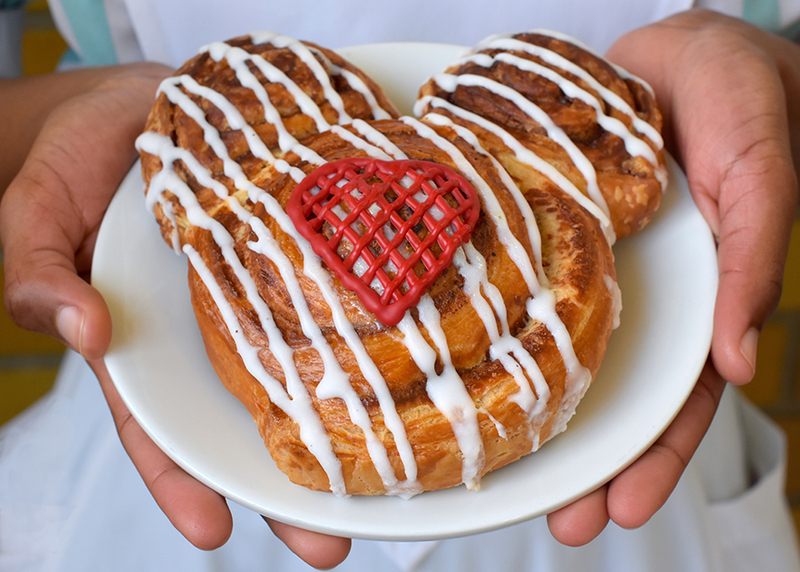 Between February 11-17, guests that stop by the Main Street Bakery will find “a special Valentine’s Day Cinnamon Roll.” For the entire month of February, The Plaza Restaurant has been featuring a special “Strawberry and Chocolate Milkshake topped with whipped cream, chocolate drizzle, a strawberry, and chocolate shavings.” And, if you want some good-ole hand-dipped strawberries, head over to Pecos Bill Tall Tale Inn and Café. 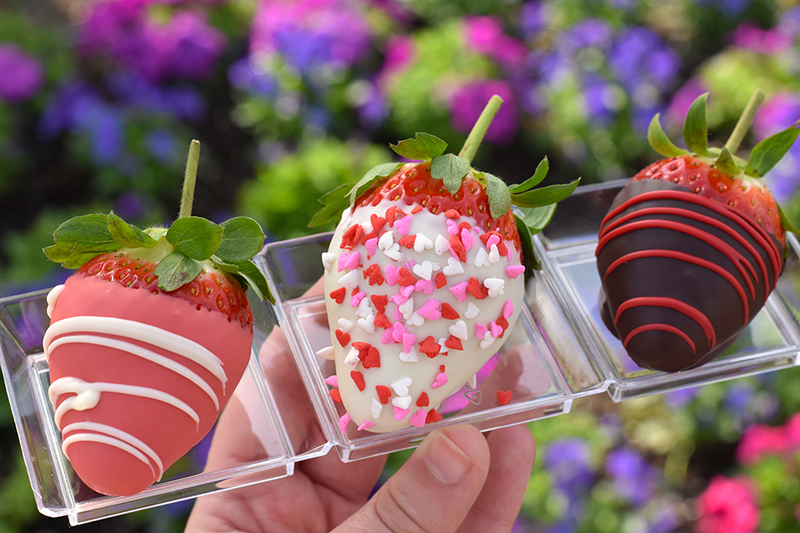 At Jolly Holiday Bakery Café guests can find “heart-shaped Strawberry Macarons.” A special “Sweetheart Toast Sparkling Cider” will be available at the Blue Bayou Restaurant. 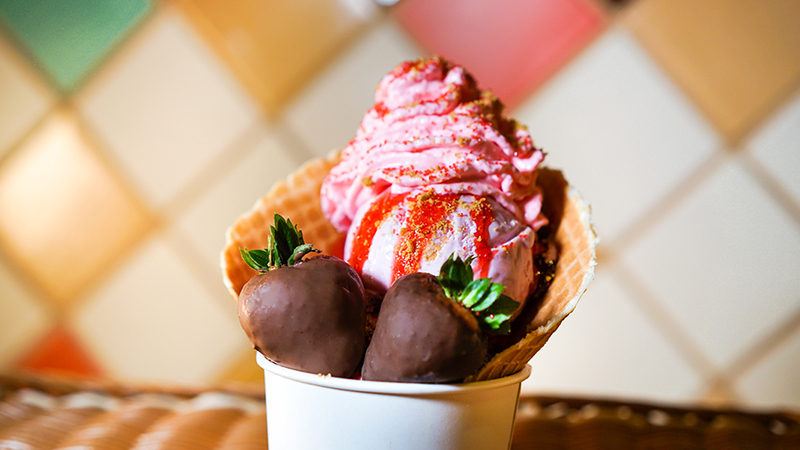 Before we transition into the offerings at Disney California Adventure Park, there will be limited time Cherry Vanilla Cotton Candy, and limited time Valentine’s Day candies throughout both parks! 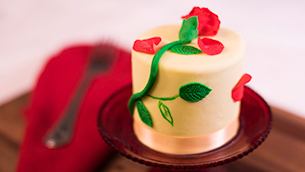 At Clarabelle’s Hand Scooped Ice Cream, guests will have a number of delicious ice cream options, but for Valentine’s Day only, there will be a Valentine Sundae which will have “scoops of vanilla and strawberry ice cream topped with strawberry topping, a chocolate-dipped strawberry and pink peppermint whipped cream that’s served in a hand-made waffle cup.” Finally, at Schmoozies, guests can try a limited time Chocolate Strawberry Smoothie.